At Twice as Nice, we take fit VERY seriously. In order to care for others, we know that you need to be comfortable while also maintaining a professional appearance. And, you want quality for your investment. Twice as Nice Uniforms are sold as a set – an outer garment plus a hidden, removable liner made of antimicrobial moisture-wicking, performance fabric that keeps you warm when it's cold, and cool when it's hot. 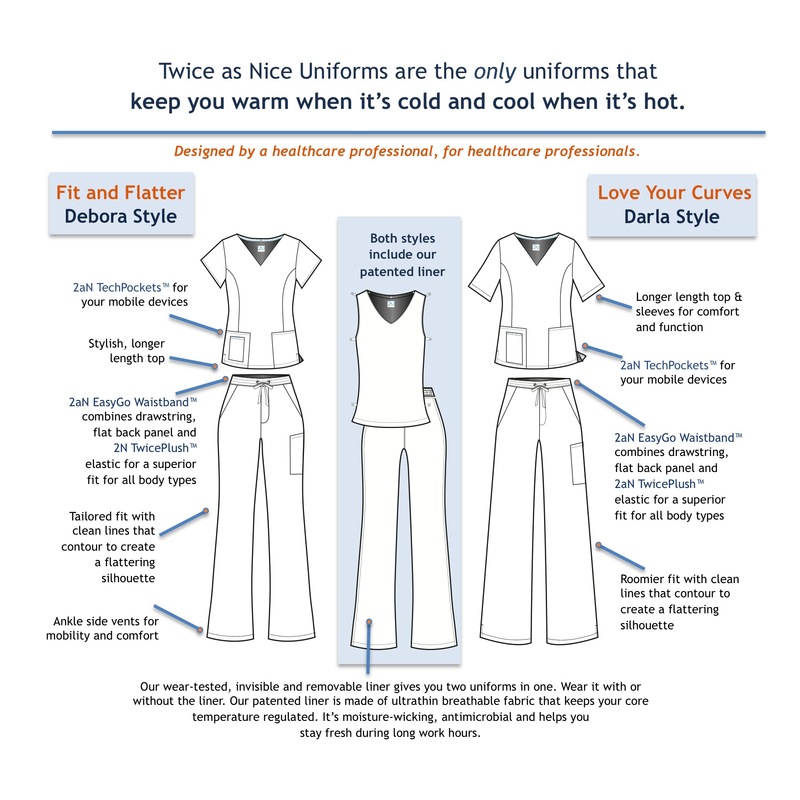 You will no longer need to purchase or wear additional layers over or under your scrubs or labcoats, saving you money and hassle. To ensure that our designs work for the many body shapes of real women, we have a Fit Specialist on staff who works with some of the top labels out of NYC’s garment district. The result is a new type of scrub design that is more like tailored sportswear. Our scrubs and labcoats are made from fabric that is highly resistant to stains from blood and chlorhexidine.